Ok, maybe "the most exciting 0-0 draw ever" is a bit of an exaggeration but Monday night's clash with Arsenal turned into a far better game than I was expecting for Liverpool. We have a diabolical record at the Emirates and to find myself frustrated slightly after picking up a draw says a lot about our performance in the game. If only we could have found the back of the net! The game started very brightly for the Reds who were off the mark with a shot from Benteke in just two minutes, shortly followed by a strike that smashed off the woodwork from Coutinho it looked like Liverpool were going to punish Arsenal in the very early stages. Just before the eight minute mark the only blip in the first half for the Reds occurred when Arsenal had put the ball in the back of the net. Aaron Ramsey was ruled offside by the linesman but on closer inspection there appeared to be little wrong with the goal. We're only two games into the new season and spectacular penalty miss aside Suarez is stamping smiles on Liverpool fans faces everywhere. The Uruguayan got Liverpool's second on Saturday after an Ramsey own goal. Dalglish set up his side with Suarez originally on the bench and Dutchman Dirk Kuyt was chosen to start with big man Andy Carroll up front. For Arsene Wenger he already had an endless list of injuries and suspensions and so fielded as best a side he could, Nasri was in the starting eleven and many believe that was his last game in an Arsenal shirt. 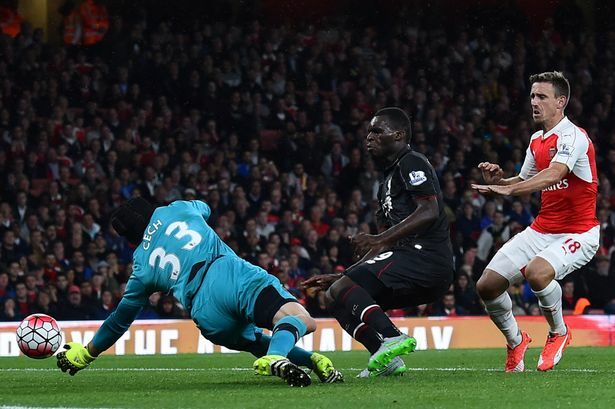 Early proceedings appeared to favour Liverpool after some strength in attack made the gunners work hard. Emmanuel Pingpong Frimpong was an early booking for Wenger's side when tempers frayed. Things went from bad to worse for the home side too as minutes later Koscielny limped off injured. He was replaced with Miquel. After the somewhat disappointing draw with Sunderland last week, Liverpool tomorrow will be looking to change their fortunes in this surely exciting clash with Arsenal. 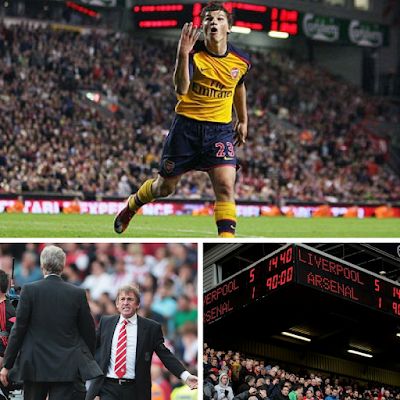 The last three matches at the Emirates for Liverpool haven't been excellent. A draw and two loses only fuel the fire for Dalglish and the boys looking for all three points. Games against Arsenal tend to bring out the best in the Reds though it's just some times we appear to start with too much punch and are then unable to see out the result. For Saturday's clash Liverpool will be without captain Steven Gerrard and Glen Johnson is still a doubt. Arsenal are without new signing Gervinho who starts his three match ban along with Alex Song. Gibbs is also unavailable for manager Arsene Wenger and doubtful are Rosicky, Djourou and Traore.